Spectacles have been in use for a long time now. We are lucky to have different designer eyewear brands that provide us with a variety of frames of different shape and colour. Brands have come out with a different type of spectacle frames to enhance your whole look. You can buy spectacle frames online or offline with the availability of unisex spectacle frames on both the platforms. But the most onerous task here is to choose a perfect frame for your face. You have to be careful when you are opting for a particular design and colour. In this blog, I am going to tell you few tips to choose a perfect spectacle frame for yourself. Face shape- Every person has a unique face shape. The shape of your face tells the style that will look the best on you. If you have sharp features like prominent cheekbones and a clear jawline, you can go for round shaped frames. This will help to divert the attention from those features of your face that are a bit too eye-catching. Colour- Frame colours can contribute to enhancing the look of your eyes. Those with a dark iris should opt for brightly coloured frames, whereas people with light-coloured irises should go with colours like tortoise-shell, woody shades, and tones like- red and purple. Size- If your eyesight power is high, choose a small frame as it will prevent your eyes from appearing magnified. People with broader faces should select small glasses that have accentuated corners and detailed decoration as this will help in making a face look less broad. Material- Choosing the right material of the frames is a very crucial task. Plastic frames are cheaper, more stylish and more comfortable to maintain. Whereas, metal or alloy frames are more substantial as compared to the plastic ones. The new tech frames are cheaper while at the same time retaining much of the qualities of the titanium types. This is the primary reason why the most of the people tend to opt for plastic frames. Price- Plastic frames are more affordable as compared to the designer branded models that will cost you far more. A wide range of metals is used to make the frames. 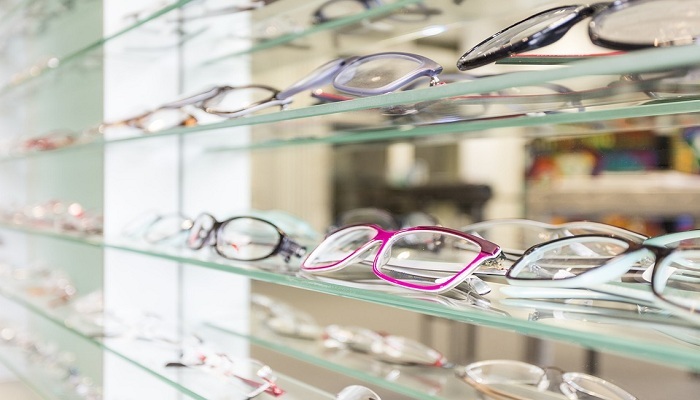 One thing you should keep in your mind is that only frames are not costing you the price, the material of the glasses also determines the overall cost of your pair of spectacles. Next Post Why is melasma called ‘the mask of pregnancy’?